Eden® by Agrono-Tec is a truly remarkable new seed mix that actually repairs itself. Because we look for solutions to the problems that face the typical lawn, we developed a new concept in heat, drought and damage tolerant turf called Eden®. This truly remarkable new seed mix is easy to maintain, has a beautiful color and actually repairs itself. We know that dogs, sports, parties and play can be tough on a lawn, and we also know that it has to look good without spending a lot of time, effort and water on it. So we’ve developed a grass seed mix that remarkably breaks all the conventional rules of ordinary tall fescues, because it does more than fescue alone can ever do. The key to this mix is that each component in Eden® was selected for the unique strengths it brings to the mix, as well as how they’ve been specifically bred to compliment each other, especially the self-mending element. 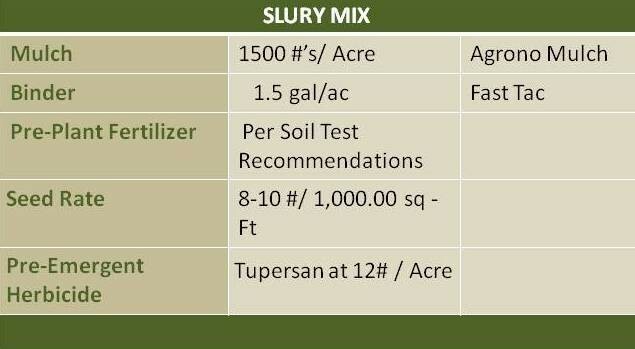 All of these qualities make this mix the most genetically diverse and adaptable grass seed you could ask for! It’s amazing how well built and hardworking Eden grass seed mix is. It’s good looking, tough, self-repairing and perfect for a tough, drought-type climate. Also, it’s remarkable how much of an advantage this lawn has when working with the demanding wear and tear that home lawns with dogs and children, parks, sports fields, commercial landscapes and sod production can put out. Discover the unparalleled freedom, beauty and wearability of Eden® Grass Seed mix. Because there’s nothing more appealing than a remarkably smart lawn with its own built-in repair kit. Sod is available in select markets. 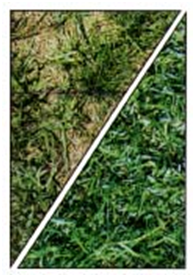 So when it comes to selecting a beautiful and strong lawn with its own built-in repair kit, the only choice is Eden®! Seeding at the rate of 8 to 10 pounds per 1,000 square feet is recommended for Eden®. 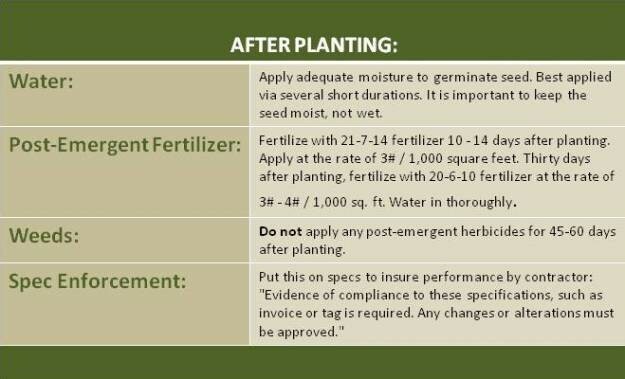 A higher seeding rate may be useful for quicker establishment. As far as pre-plant soil incorporation, a complete fertilizer is very helpful and seedlings should emerge in 7 to 14 days. Eden® may be planted any time of the year, although a winter and late summer seeding may germinate more slowly. Since the Eden® mix is designed for most environments, it’s easy to maintain. It normally requires just 3 to 5 fertilizations per year to keep it green and healthy. Water requirements are low, too, because of Eden’s excellent drought tolerance that’s enhanced by a deep root system. You don’t have to mow it as often, because Eden® has a lower, slower growth habit that is much less than the taller growing tall fescues. 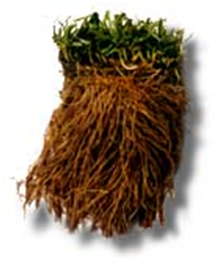 Eden® Grass Seed provides good seedling vigor and establishment to form a strong rooted, low growth turf. Eden® is tough, good-looking, self-repairing and offers a wide range of adaptability and pH tolerances (4.7 – 8.5), so it will work well in most Western United States regions.